and foundyn that he sholde bene wyse and curteyse, good of consaill. 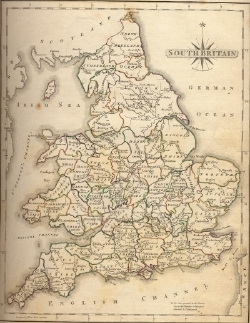 The comprehensive online gazetteer and bibliography of the medieval castles, fortifications and palaces of England, Wales, the Channel Isles and the Isle of Man. This site aspires to be a comprehensive listing of the medieval castles, castle sites, fortified houses, urban and coastal defences and other fortifications of England, Wales, the Channel Isles and the Isle of Man built or in use from 1000 to 1600. It's not a history of castles and users of the site are expected to have a basic understanding of castles and medieval England and Wales. The site is a regularly updated listing with location information, some brief site details, carefully considered web links and a full academic bibliography. The site is a resource for those interested in castles studies both professional and amateur. This is an ambitious project and any such list is bound to have omissions and errors. However, it is hoped that by using the flexible and responsive media of the Internet that this list can be as comprehensive and as current as possible. The site has taken, as the standard for what is a fortification, that which the various authors from which the information is drawn have considered to be a fortification, although some sites have later been rejected as fortifications and these are noted as such. 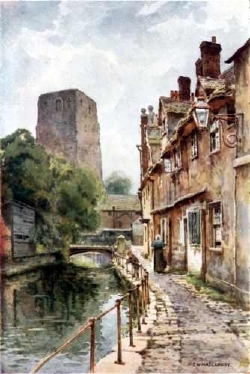 Sites which consist of entirely passive defences such as moated houses and walled sites without wall walks and parapets are generally excluded. However, as a 'control group', the databases and website do list all the royal and episcopal residential houses and hunting lodges of the period (lumped together under the title 'palace'). Some of these were fortified but many were not. Defining 'the castle' is difficult and any definition of a castle, whilst explaining why places of different social status and form are all castles, should also explain why some places of equal social status were not castles. Dear Gatehouse readers and researchers We are saddened to have to inform you that Philip Davis died in September 2017, aged 57. His whole life was bound up in the study of castles and medieval buildings and the Gatehouse website developed over many years to become a vital tool in helping amateurs and academics alike in researching and studying castle sites, their history, archaeology and architecture. Arrangements are in place to continue this work and Gatehouse will be developed over the next few years, both in its appearance, presentation and in its continuous updating of data and biographical material. Gatehouse consists of three main sections. The first is the listings and individual pages of medieval fortifications; the second is a listing of the texts and online sources used in compiling information for these lists, this section also contains details of some other important or useful texts and Internet resources; the third section is a collection of other resources of interest to castle studies such as distribution maps, some statistics, a list of licences to crenellate and some other transcriptions of primary sources and some lists and discussion of archaeological terminology. Gatehouse was never intended to be a photographic resource and has relatively few photographs and visual images. 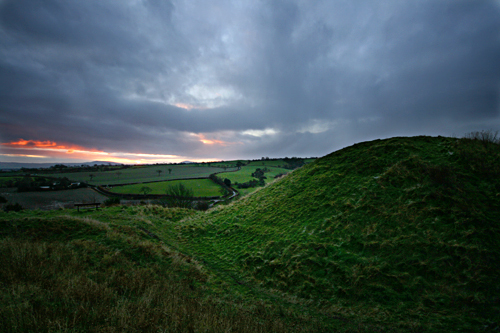 However for most sites links are provided to several websites that do provide photographic images, notably Andrew Herrett's CastleFacts site and Geograph Britain and Ireland. The term fortification, in regard to medieval buildings, is one open to much discussion. Many of the buildings in this gazetteer, despite much insistence, were never intended to be used in actual warfare but were meant as a symbolic display of the status of the buildings owner. This does not always mean their defensive features, like machicolations, were sham, although some were. Even when a castle is recorded as being besieged this does not mean it was necessarily built to resist a siege. Large houses of high status they were likely to be used as retreats during warfare whatever their design. In the 17th century English Civil Wars many high status domestic houses, with no military features, were besieged, sometimes for weeks. Care must be taking in drawing conclusions as to the function and purpose of complex buildings like castles. A portico of Corinthian columns does not mean Birmingham Town Hall was built as a temple. A parapet of battlements does not mean a house was built as a military base. Walls, moats and strong gates kept thieves out but there has always been a differentiation between such passive defensive features and the supposed active fortification features which allowed the inhabitants of a 'castle' to fight back against an attacking army. Generally, within the Gatehouse website fortification means a particular type of architectural style derived from military considerations - some of these military considerations were actual, some were potential and some were purely symbolic. 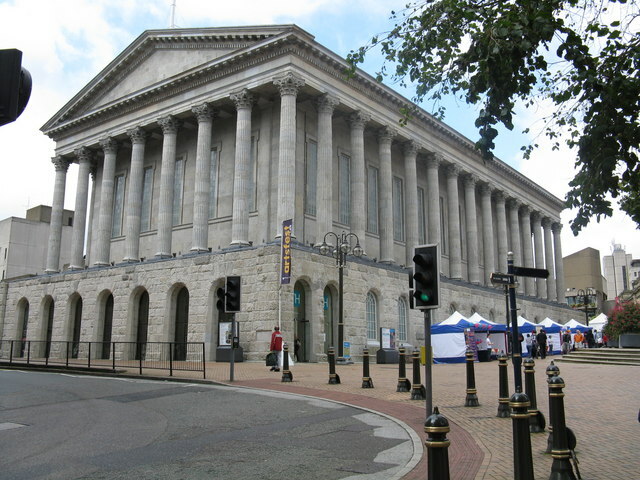 Birmingham Town Hall, despite its resemblance to a Greek temple was not designed as a place to worship Zeus. The form of a building does not necessarily reflect its basic function. This project has been much assisted by the help and support of many kind and knowledgeable people. Gatehouse thanks the many who have helped. While every reasonable effort has been made to ensure the accuracy of the data held within this web site and the associated downloadable databases, it must be appreciated that much of this data is compiled from secondary sources and that the information supplied may not be a full or reliable statement of the archaeology, history, etc.. Gatehouse and its author shall not be held liable in respect of any errors or omissions from the data provided. If you use this site for something important you should check the sources cited and check the sources they have used. One of the intended main functions of Gatehouse is to reduce the burden for researchers in finding these cited references, not to do away with the requirement to check such sources. Please do inform Gatehouse of any errors you do find or to give any source missed. The site contains much copyrighted material belonging to third parties used with permission on the bases that this site is not commercial and is provided as an educational resource or under the general principle of 'fair use'. Use of material from this web site for commercial purposes may breach copyright restrictions and result in prosecution. You will need to check all given sources to establish the actual copyright holder. In the Gatehouse web site are around 6000 individual pages for medieval fortified sites and another 1000 or so pages of historical references. Unfortunately it is not possibly to directly search for an individual site from within the web site (but the county and site indexes are useful). The site is pretty well indexed by Google and use of the Google search engine in the page header should produce full results but see the news page, or subscribe to the newsletter, for latest information as the Google updating of the changes to the site takes some time. Gatehouse is not responsible for the advertisements on the Google results page and gains no revenue from these. Be flexible with your searching, many sites have different names and variant spellings (particularly so in Wales), some 'castles' may well be in another category such as Tower House or Fortified Manor House. Note the Gatehouse lists are by historic counties as used by David Cathcart King in his seminal Castellarium Anglicanum (see Location Information for more detail). For more complex searches and research it is best to download the databases on which this site is based and put them into a database management program or spreadsheet. Gatehouse is intended as a support tool to aid research so please feel free to use it this way. These databases contain much copyrighted material belonging to third parties used with permission on the bases that this site is not commercial and is providing an educational resource or under the general principle of 'fair use'. Use of material from these databases for commercial purposes may breach copyright restrictions and result in prosecution. You will need to check all given sources to establish the actual copyright holder. The latest version of Gatehouse (November 2016) is designed to comply with the CSS3 standard. This means the site is best viewed in Safari, Firefox, Chrome, Opera and other such browsers, at a window size of about 1000px width. It should work in other browsers, such as Explorer and older versions of the above but some design features, notably multicolumn text, will be missing. I have not tested the site with Microsoft Edge but presume it works on that browser. The author of Gatehouse is, by inclination a historian not a graphic or web designer and he does not have the resources to purchase the services of professional designers. Please do let Gatehouse know of any browser incompatibility problems or design faults and do feel free to give suggestions for design improvements. The data rich content of most Gatehouse pages, and its intended function as a resource for people doing academic research, mean I consider it not a suitable site to use on a small screeen mobile phone. Making a mobile phone compatible form of Gatehouse would involve considerable effort and would produce a inferior and, mainly, worthless product. I do not intend to make a mobile phone compatabile version of the site. For those who wish to use Gatehouse in the field a laptop is recommended, although the site is usable on a larger screen tablet device.